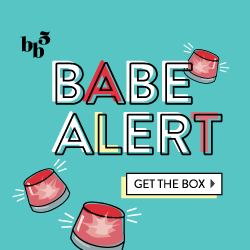 ← GlossyBox April SPOILER + PROMO! How often do you find yourself going through the security line at the airport, and they stop you or pull your bag to the side, and wind up pulling out a hairspray bottle that is 3.3 oz and didn’t quite make the cut? Or, you get all the way to the plane, only to realize you completely forgot your headphones and now have to listen to the baby crying a row behind you? Well, I rounded up my travel essentials that are necessary when flying, or taking a long train ride. The most important aspect is, of course, the bag. You want a bag large enough to carry all of your items, small enough to fit under your (tiny, let’s be honest) airplane seat, and has compartments and closes at the top, either with a zipper or snap(s). Personally, I am loving this Michael Kors Jet Set Medium Travel Tote, as it’s the perfect size and weight, plus the tan-beige color is perfect to match any outfit. Plus, I always carry a makeup bag like this Forever 21 Polka Dot Kiss & Makeup Cosmetic Bag to keep my cosmetics organized so that my travel tote doesn’t get dirty, and that I can easily find my makeup, eyedrops and more! When flying out of the country, you need to remember your passport! Make it easy by keeping it in an organizer or passport case such as this Henri Bendel West 57th Kaleidoscope Passport Cover. You’ll be able to easily find it in your bag, and it’ll look extra stylish. Now, onto the beauty and wellness necessities! The small items I keep within my makeup bag, such as an EOS Lip Balm, which is perfect for hydrating dry lips on long flights. Not only are they made of natural and soothing ingredients, they smell delicious too. I wear contacts, so I almost always have Visine Eye Drops in my bag, but find myself using them more often when flying, and even recommend them to friends without contacts or glasses. That dry air can really get to you and affect everything from your lips and eyes to face and skin. To refresh my face, I opt for Evian Facial Spray, which helps to add moisture back into dry skin with just a spritz. It’s refreshing, quick, easy and no mess. For the rest of my body, especially my hands and nails, I grab a bottle of L’Occitane Shea Butter Hand Cream. I don’t know about you, but I tend to sleep on flights (if they’re early, late, long or I’m hungover), and that’s where these last two items come into play. Sometimes that person next to you insists on leaving the window shade up, glaring the bright sun into your eyes. To ensure a good nap, I put on a silk or satin eyemask like this Mary Green “Breakfast at Tiffany’s” Eye Mask to block unwanted light out and help me to relax. Finally, a mini hair brush like this John Frieda Mini Hair Brush is necessary for when I wake up and my hair is half stuck to the back of my head, half sticking out and unruly. It’s the perfect size to bring in your bag and knocks out the need for a full-size one during the entire trip. Now that you have your beauty regime and items down to a tee, onto the snacks and hydration! Food can be super expensive in the airport, and even more on the plane itself, so why not bring some of your own? Yes, we all know that you can’t bring a drink past security, so that’s the one item I always find myself buying. On the plane, you’re usually offered your choice of juice or soda, and so I try to avoid buying one (since it’s free on the plane) and instead pick up a healthier option like a Tazo Iced Green Tea, or another tea-based drink. If I know I need to get work done on the plane, I’ll opt for a flavor high in caffeine or an iced coffee, but if I plan on snoozing, I look for a low or caffeine-free tea or drink, just to keep me hydrated. For snacks, I usually carry a few varying from fruit to nuts to protein bars, but one of my favorite splurges happens to be these Chocolate-Covered Goji Berries from Trader Joes. They’re full of antioxidants and full of FLAVOR, and keep you happy on a flight filled with overpriced, processed snacks. Now, my last “snack” isn’t so much a snack, but a plane survival item. You know when you’re taking off, and the plane begin to gain speed and lift up off and the ground, and boom! your ears pop. Chewing on gum or Mentos helps to block out the chances of your ears popping! I’ve been doing this since I was little and found it works like a charm. Finally, onto the entertainment! Isn’t it great when they decide to show a movie you’ve been dying to see? Well, of course, you still need headphones to be able to listen to it! I prefer to bring my own headphones to plug into my phone, ipod, kindle or the airplane tv to listen to movies, rather than buying a $5 junky pair on board. These UO Printed Earbud Headphones are not only cute and patterned, but block outside noise too. My Kindle definitely comes in handy too, to read a great novel or catch up on a fashion magazine like Lucky, Cosmopolitan or Glamour. With all the right necessities and accessories, you’ll learn that traveling is a breeze! No more rushing at the last minute and throwing random items into your bag, but rather, use this as a checklist to make sure you have all of your important items. P.S. don’t forget your wallet or cellphone either!